Esther, mother of a sponsored child in Kenya, “wears” her 15-month-old son, Alex. “Babywearing” is the practice of carrying your baby with a sling, wrap or pouch. While it’s a popular trend in the Western world, it’s been practiced in developing countries for generations. In recent years, a growing number of U.S. parents have opted for baby carriers — whether slings, wraps or pouches — as a chic, environmentally friendly and psychologically comforting alternative. Ironically, “babywearing” as it’s now called has been practiced in the developing world for centuries! It’s another excellent example of the many talents and skills we find among the people we serve. Esther from Kenya, whose son Samuel is an Unbound-sponsored child, said babywearing helps lull her children to sleep or soothe them when they are crying. “The baby feels your affection, and it helps reduce tantrums because they feel that you are not neglecting them,” she said. 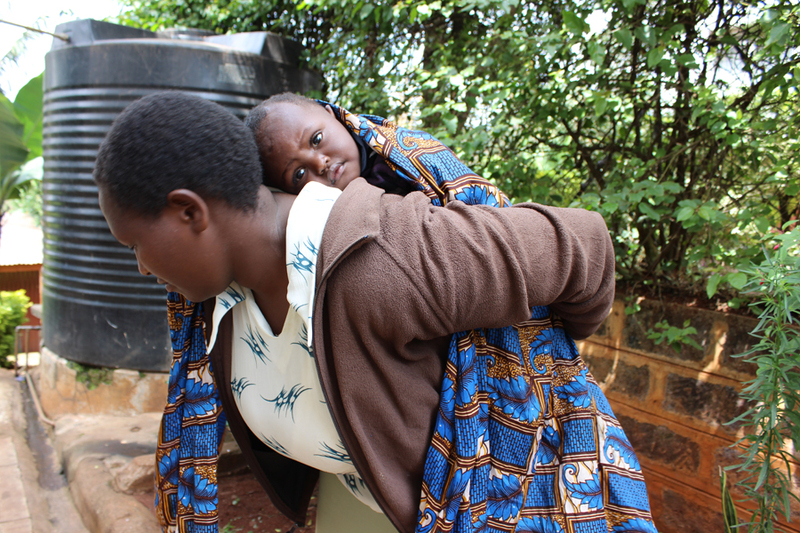 Esther uses a “lesso” to wrap and carry her baby. Unlike U.S. baby carriers, where prices can range from $40 to $540 (according to this New York Times article), Esther can purchase hers locally for about 350 Kenyan shillings, or US $4. 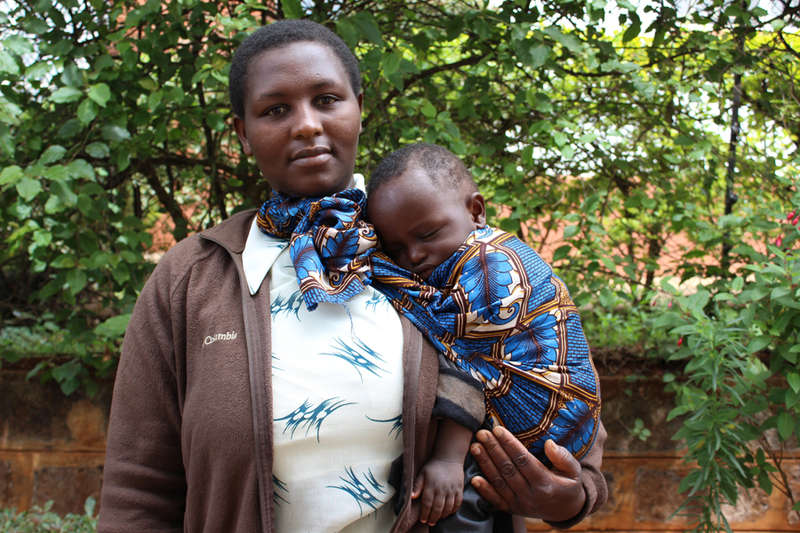 Esther uses a “lesso” to wrap and carry her son. For Esther, babywearing is a time-honored tradition she has learned since childhood. One of the main benefits of babywearing, Esther says, is the way it helps her perform chores while still allowing her to feel closely connected to her child. We have so much to learn from our friends in other nations! What is one new or different thing you’ve learned from someone outside your home country? Tell us in the comments below.